For the papal chapel, see Redemptoris Mater Chapel. For the international missionary seminaries, see Redemptoris Mater (seminary). 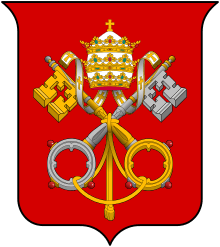 Redemptoris Mater (Latin: Mother of the Redeemer) is the title of a Mariological encyclical by Pope John Paul II, delivered on March 25, 1987 in Saint Peter's Basilica in Rome. 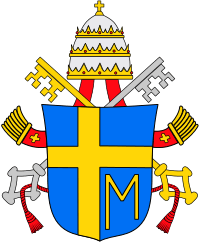 This encyclical is subtitled On the Blessed Virgin Mary in the life of the Pilgrim Church and deals with a number of issues in Mariology. 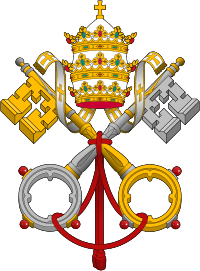 It is a somewhat detailed encyclical with three main parts, as well as an introductory section and a conclusions section. The encyclical starts by discussing the special place of the Blessed Virgin Mary in the plan of salvation and continues to focus on Mary's role in the Mystery of Christ in Part I of the encyclical. Mary embraces each and every one in the Church, and embraces each and every one through the Church. In this sense Mary, Mother of the Church, is also the Church's model. Thus there is a mediation: Mary places herself between her Son and mankind in the reality of their wants, needs and sufferings. She puts herself "in the middle," that is to say she acts as a mediatrix not as an outsider, but in her position as mother. She knows that as such she can point out to her Son the needs of mankind, and in fact, she "has the right" to do so. Her mediation is thus in the nature of intercession: Mary "intercedes" for mankind. I would like to recall, among the many witnesses and teachers of this spirituality, the figure of Saint Louis Marie Grignion de Montfort who proposes consecration to Christ through the hands of Mary, as an effective means for Christians to live faithfully their baptismal commitments. In the conclusion to the encyclical the pontif stated: "The Church sees the Blessed Mother of God in the saving mystery of Christ and in her own mystery".